Wealthy, privileged, and fiercely independent New Yorker Jennie Jerome took Victorian England by storm when she landed on its shores. As Lady Randolph Churchill, she gave birth to a man who defined the twentieth century: her son Winston. But Jennie—reared in the luxury of Gilded Age Newport and the Paris of the Second Empire—lived an outrageously modern life all her own, filled with controversy, passion, tragedy, and triumph. When the nineteen-year-old beauty agrees to marry the son of a duke she has known only three days, she’s instantly swept up in a whirlwind of British politics and the breathless social climbing of the Marlborough House Set, the reckless men who surround Bertie, Prince of Wales. Raised to think for herself and careless of English society rules, the new Lady Randolph Churchill quickly becomes a London sensation: adored by some, despised by others. Artistically gifted and politically shrewd, she shapes her husband’s rise in Parliament and her young son’s difficult passage through boyhood. But as the family’s influence soars, scandals explode and tragedy befalls the Churchills. Jennie is inescapably drawn to the brilliant and seductive Count Charles Kinsky—diplomat, skilled horse-racer, deeply passionate lover. Their affair only intensifies as Randolph Churchill’s sanity frays, and Jennie—a woman whose every move on the public stage is judged—must walk a tightrope between duty and desire. Forced to decide where her heart truly belongs, Jennie risks everything—even her son—and disrupts lives, including her own, on both sides of the Atlantic. 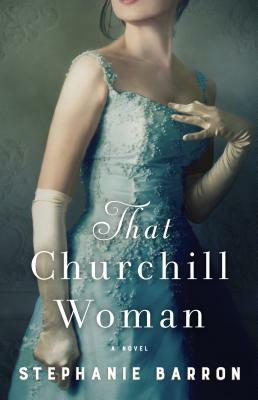 Breathing new life into Jennie’s legacy and the glittering world over which she reigned, That Churchill Woman paints a portrait of the difficult—and sometimes impossible—balance among love, freedom, and obligation, while capturing the spirit of an unforgettable woman, one who altered the course of history. Stephanie Barron studied history at Princeton and Stanford, where she was an Andrew W. Mellon Foundation Fellow in the Humanities. She is the author of the historical suspense novels A Flaw in the Blood and The White Garden, as well as the critically acclaimed and nationally bestselling Jane Austen Mystery series. A former intelligence analyst for the CIA, Barron—who also writes under the name Francine Mathews—drew on her experience in espionage for such novels as Jack 1939, which The New Yorker described as “one of the most deliciously high-concept thrillers imaginable.” She lives and works in Denver, Colorado. Powered by our audiobook partner Libro.fm, your first month is free and then $14.99 per month. The monthly fee equates to one audiobook credit which you can use at anytime, for any of the 70,000+ audiobooks available on our Libro.fm site. You can easily listen on any device (phone, tablet, PC) as all Libro.fm audiobooks are DRM-free. Support our local store with your Apple, Google, Windows, Nook, Kindle, or Kobo reader!! A portion of your purchases goes directly back to our local store. No monthly fee. Pay as you go. From NY Times Bestsellers to Children's favorites, Hummingbird has you covered.